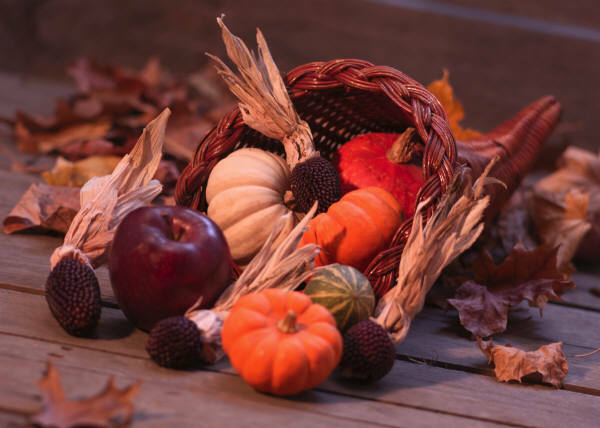 It strikes me that the thankfulness we feel at Thanksgiving, often, is not directed toward anyone or anything, but is simply a vague feeling of happiness about our good fortune. When the Pilgrims celebrated that first Thanksgiving it was to thank GOD for provision, heath, and freedom. I’m sure that their prayers on that day were adamant outpourings of gratefulness to God. This thankfulness was so consuming that the Pilgrims assigned a celebration day to give honor to God for all He had done for them. Thanksgiving was an entire day set aside to remember God’s provision and celebrate His blessing. How different our celebration today has become. Spend some time this week considering what you have and thanking God for it. Even those of us who have very little are incredible blessed. The simple fact of being born in America affords us a more comfortable life than most people on the earth. Most of us have never experienced desperate hunger. We have clean water and food when we need it. We are not in danger of dying from malaria, cholera, or diarrhea. We are not harassed by an oppressive government. We are blessed. If you own any land at all you are wealthier than 90% of the people on earth. If you own a car, a television, more than one pair of shoes, if you will eat a twenty pound turkey this Thursday, if have access to a computer that allows you to read this blog, if you eat dinner every evening, if you own a cell phone, a Bible, an electric coffee maker, a set of dishes, an indoor toilet, a power drill, then you have more than most people on earth. Two-thirds of the people in world live on $2 per day or less. I spend $2 per day on internet access. I spend $3 per day on cell-phone service, $15 per day on food, $1 per day on running water, $1 per day on trash disposal, $12 per day on transportation, and $15 per day on housing (which is much less than most Americans). I am unbelievably blessed. How can we ever complain? How can we not be full of gratitude to God? Thanks for the timely reminder. Maybe we can remember to replace our complaining with gratefulness. I’m going to try.